Designed with a Raspberry PI in mind, the EVO Mini borrows from the EVO XR style. For the monitor I chose a 10" IPS panel with HDMI, onboard speakers, and an available USB port to power your Pi. This kit is designed to work with an Ultrastick 360 joystick (Or Happ / IL) and 6 Sanwa 30mm screw in buttons on the control panel. 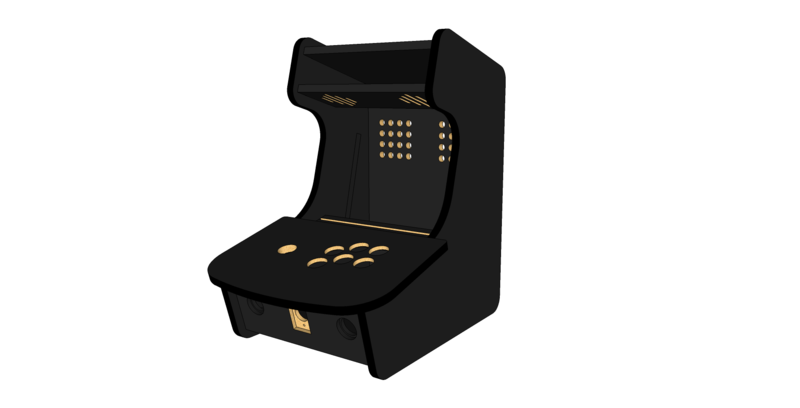 The admin panel uses a NovaGem button from Groovy Game Gear for coinup as well as two Happ / IL buttons in recessed holes.